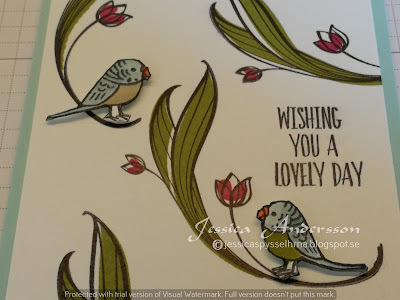 On today´s card I used the stamp sets Bird Banter and Lovely Wishes. 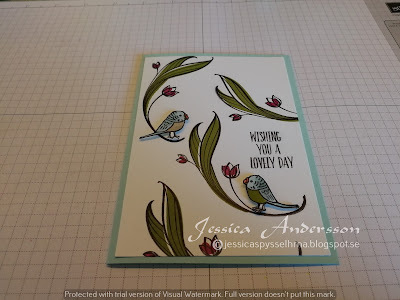 I used Pool Party cardstock as base for my card. On the whisper white one I stamped the flowers and the sentiment from Lovely Wishes. The flowers 2-step stamps and I used the colours Black, Old Olive and Berry Burst. 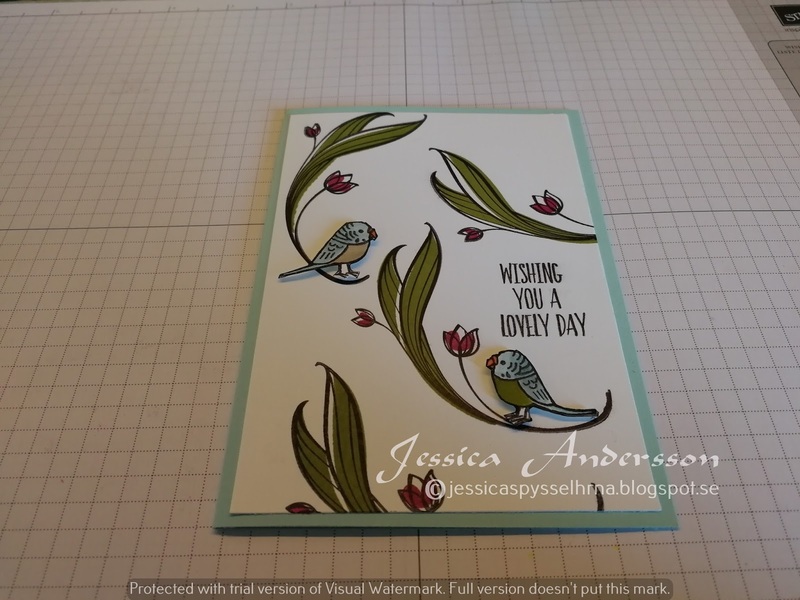 The birds I stamped and then coloured with my Stampin´ Markers - using the colours Old Olive, Crumb Cake, Pool Part and Soft sky. Then I fussy cut them and added them with som mini dimensionals.